MSI introduces its most powerful and feature-packed Intel 200 Series motherboard – the MSI Z270 GODLIKE GAMING. The MSI Z270 GODLIKE GAMING features the latest and the best connectivity technologies to date. The motherboard features two of world’s first and exclusive technologies including the Killer xTend technology and the new ASMedia 3142 USB 3.1 Gen2 controller. The Z270 GODLIKE GAMING offers gaming-quality connectivity for both LAN and WiFi with the new Killer xTend. The motherboard also features RGB illumination with the help of enthusiast PC chassis maker Phanteks. The ASMedia 3142 Controller offers the fastest USB 3.1 speeds and performance today setting up the newest standard in super-fast USB data transfer. 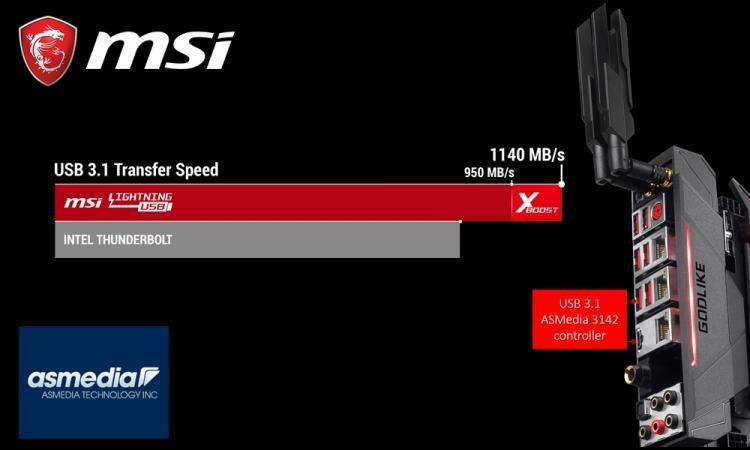 The Lightning ASMedia ASM2142 USB 3.1 Gen2 controller that runs at PCIe Gen2 16Gb/s already offers superb data transfer speeds, the next generation Lightning ASMedia ASM3142 USB 3.1 Gen2 offers an even better performance along with 50% power savings. The ASM3142 consumes less power while maintaining performance thus achieving higher energy efficiency. The MSI Z270 GODLIKE GAMING is the first motherboard to sport the Killer xTend technology along with a plethora of network extension capabilities which includes three high-speed Killer Ethernet ports and a Killer Wireless-AC module used as a WiFi extender. With such options, the Z270 GODLIKE GAMING offer strong and powerful network connectivity whether wired or wireless. Then with the new Killer xTend Technology, users can connect devices such as gaming consoles, smart phones, and tablets directly to the Z270 GODLIKE GAMING-powered gaming PC. For gaming consoles, the Killer xTend can keep games, voice, and video fast and smooth by managing prioritization through the Killer-powered PC. Killer xTend also delivers amazing throughput to your home – with potential throughput up to 1 Gbps for each Killer E2500 plus another 867 Mbps for the Killer Wi-Fi module. With the MSI Z270 GODLIKE GAMING, MSI worked with Phanteks, one of the best manufacturers in the PC hardware business to produce the best RGB illumination. The motherboard will come in bundled with the new Phanteks Rainbow Strip with multiple colours to further personalize any gaming rig. The Rainbow Strip has 15 high-quality LEDs, which can be controlled independently, combined with a new 4pin pin-header, you can show different colours on the LED strip at the same time. Just like any other flagship motherboard, the MSI Z270 GODLIKE GAMING will sport other game enhancing features including AUDIO BOOST 4 XTREME with ESS DAC offering the best gaming audiophile-quality audio. 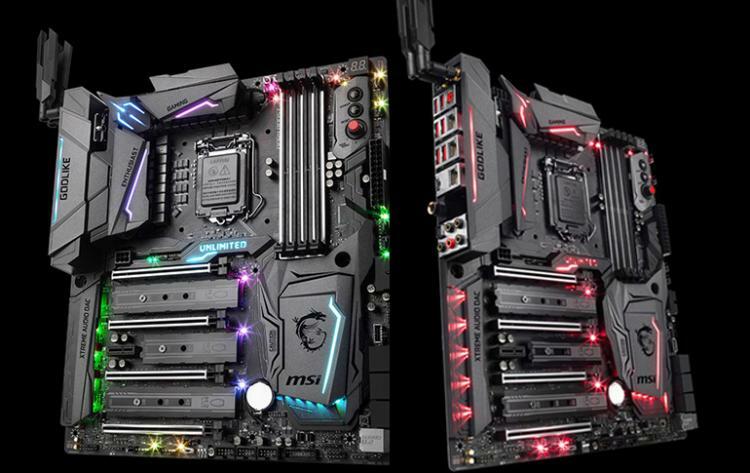 The motherboard is also packed with three Turbo M.2 slots with the patented M.2 shield, also a Turbo U.2 with Steel Armour and other gaming features.